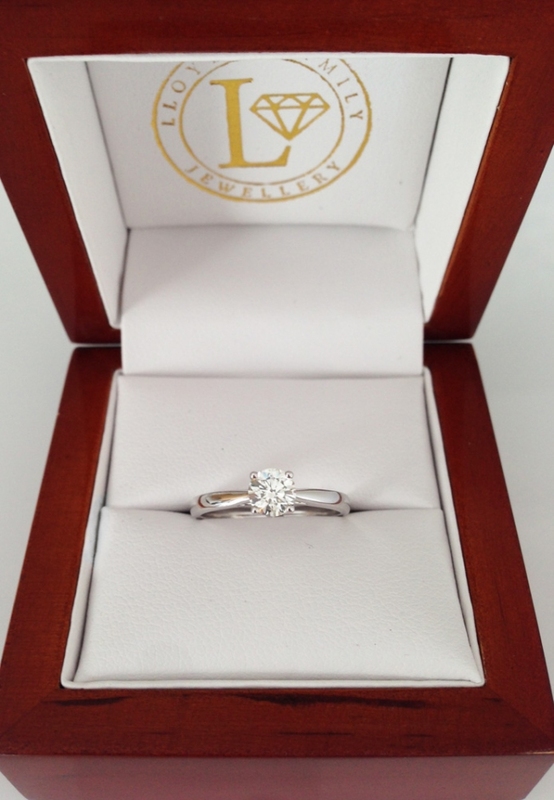 Diamond engagement ring featuring a half carat (0.50ct) round brilliant cut diamond. 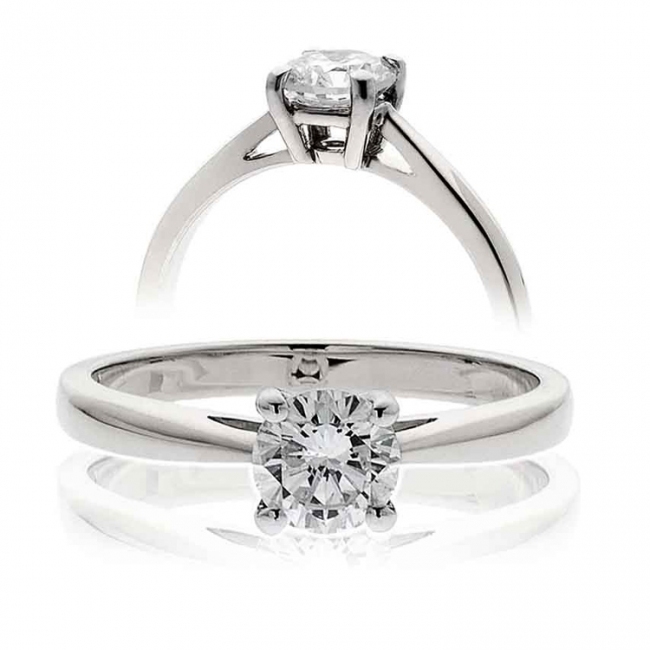 This beautiful ring features a modern 4 claw setting to get the best view of the solitaire diamond set in solid 18k white gold. Delivered free with quality gift packaging, authenticity certificate and a full 12 month manufacturer backed guarantee.